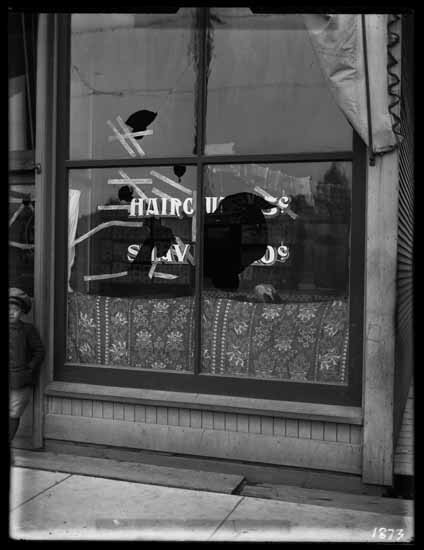 Chinese business damaged by race riot, 1907. Source: Vancouver Public Library, 941. Before 1908, the sale and use of drugs in Canada was legal. The origins of Canada’s anti-drug policies began after an anti-Asian race riot in Vancouver in 1907. The following year, the Canadian government passed the Opium Act and later updated that law in 1911 as the Opium and Narcotic Drugs Act. These laws — which criminalized the sale, distribution, and use of a range of drugs — were born out of racial hostilities among white Canadians toward Chinese immigrants and Chinese Canadians, mainly in British Columbia. By the 1920s, urban moral reformers raised alarms in print media about a perceived scourge of drug use perpetuated by Chinese immigrants. This led to a wave of new enforcement of Canadian drug laws and police crackdowns on Chinese Canadian communities. In this module, you will read a chapter from Emily Murphy’s 1922 book, The Black Candle, a collection of her writing on drug trafficking and Chinese immigration. You’ll also read a journal article about drug enforcement in rural and northern British Columbia in the early twentieth century. Murphy, Emily. The Black Candle. Toronto: Thomas Allen, 1922. Prkachin, Yvan. “‘Chinks Pay Heavily for ‘Hitting Pipe’: The Perception and Enforcement of Canada’s New Drug Laws in Rural and Northern British Columbia, 1908-30” BC Studies, No. 153 (Spring 2007): 75-105. Introduction by Sean Kheraj and Tom Peace is licensed under a Creative Commons Attribution-NonCommercial-ShareAlike 4.0 International License, except where otherwise noted.